A view from a beautiful sunny autumn afternoon on Islay. 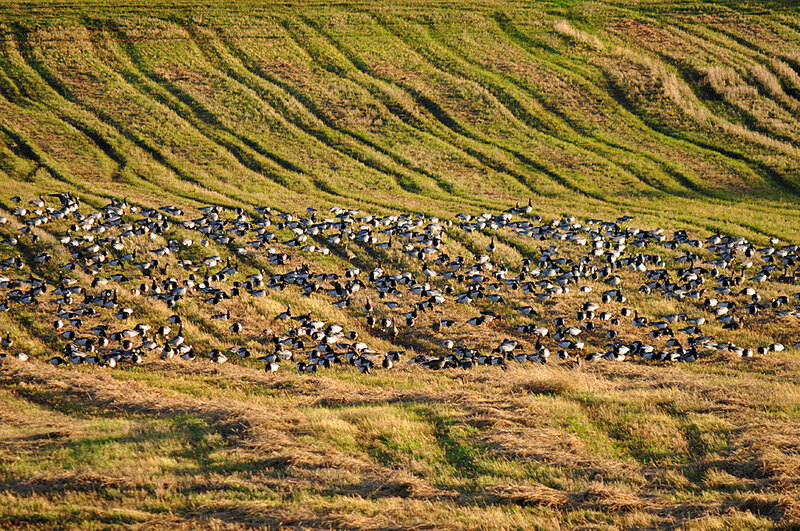 Barnacle Geese feeding on a field bathed in the mild afternoon sunshine. I can’t remember where exactly I took this picture, but I think it was somewhere between Sunderland and Rockside on the Kilchoman Road. This entry was posted in Landscape, Repost, Sunny Weather, Wildlife and tagged Barnacle Geese, Islay, Kilchoman, Rockside Farm, Sunderland Farm by Armin Grewe. Bookmark the permalink.